Before American Football reunited and subsequently released the sequel to their iconic debut album, the perception of the band was that they were just a Midwest emo one-hit wonder. Or rather, a one-album wonder. A common fear among fans of the debut was that they would never live up to the expectations that it set were they to follow it up. Of course, the general consensus is that LP2 didn’t even come close to meeting the mark; in some ways, it felt like singer Mike Kinsella was treating the sequel more like an Owen album than anything else. It wasn’t quite the journey of ups and downs that the band took you on so many years prior, despite still being very pleasant to the ears. It wasn’t as relatable with its lyrics when compared to the likes of “Never Meant”. It wasn't even as enriching as far as its overall atmosphere is concerned. Whatever the case is for you, whether you even liked LP2 to begin with or not, the relative disappointment that it generated still lingered in the minds of many listeners. So much so that it feels almost like a miracle that LP3 is such a massive step up. In some ways, it’s what LP2 could have been. More importantly, it’s what it should have been. Starting with lead single “Silhouettes”, the album hypnotizes you in its lush atmosphere, as it reads much like a post-rock update to their debut. Although nothing on LP3 feels like a direct successor to “Never Meant”, there are plenty of references to other American Football songs within the music. One such example is “Doom In Full Bloom”, which recalls the likes of “The One With the Wurlitzer” and “For Sure” with its trumpet-driven intro and builds into a number closer to “Stay Home” as time went on. Mike Kinsella’s vocals are similarly subdued across the album, contrasting from the pitchy, youthful charm that made songs like “But the Regrets Are Killing Me” as seminal as they were for the time. “Every Wave to Ever Rise”, “I Can’t Feel You”, and “Uncomfortably Numb” see Kinsella sharing the proverbial stage with several guest vocalists: Elizabeth Powell (Land of Talk), Rachel Goswell (Slowdive), and Hayley Williams (Paramore), respectively. The music flows seamlessly from one track to the next, and it’s easy to get lost in the atmosphere and see LP3 not as a collection of songs, but rather a naturally flowing ambience with minimal to no distortion involved in its creation. The only time in which the band forgoes their signature odd-timed approach to songwriting is on their second single, “Uncomfortably Numb”. Even in that case, the ebb and flow of LP3 isn't broken in the slightest, as even a more conventional number still feels like an easy task for the band. Twenty years separate American Football and LP3, so it would make sense to expect the band’s outlook on life to evolve. Mike Kinsella was 22 when their debut released; by default, he didn’t have the degree of life experience that he does now. Regardless, some experiences are universal in nature, which is where Kinsella chose to go this time around. Whereas LP2 would concern itself more with the ordeals of being a middle aged man, LP3 finds itself recapturing the youthful vibe of American Football while maintaining the added maturity of LP2. The regret that Kinsella felt at 22 can still be felt at 42, as shown by the lyrics of songs like “Heir Apparent” (I'm sorry for leaving / I'm sorry with one foot out the door / I'm unapologetically sorry for everything) and “Life Support” (I've cried for you, for me, a stranger / I've cried in every mood / When will it end, relentless adolescence"). The trials of aging cross over from LP2 as well, like on “Uncomfortably Numb” (I blamed my father in my youth / now as a father, I blame the booze). While it’s clear from songs like “Doom In Full Bloom” and the aforementioned “Uncomfortably Numb” that the band are older and more experienced now, songs like “Heir Apparent” (not to be mixed up with the Opeth song of the same name) almost feel like they would work just as well on the debut as they do here. Maturation is inevitable, and in that process American Football have decided they're not content with simply coasting on the proverbial highway by releasing a less-than-stellar follow-up yet again. It's far too early to make a clear-cut decision as to whether or not LP3 truly outclasses the band's debut album, but it comes shockingly close at the very least. It will entrance you in its lush atmosphere upon hearing the opening notes of “Silhouettes” and ease you out of it by the time “Life Support” bookends the experience. It will bring back the nostalgia of listening to the original album years ago with the likes of “Doom In Full Bloom” and “Heir Apparent”. 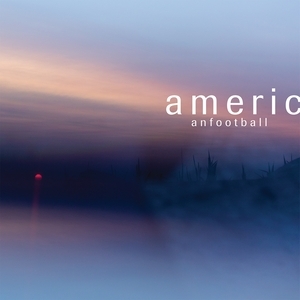 Most of all, it will showcase a matured perspective on the themes of love, loss, regret, and yearning that made American Football such a poignant album all those years back. That's probably the biggest surprise of all with LP3; the band's attempts to take the listener on an emotional journey succeed to a larger degree than they did on the album prior. aight since there's apparently an official stream out I can push this out now instead of the other review I was planning to drop. It's a grower, I've given it at least six or seven listens and it's grown to a classic pretty quick. Understandable. I started at a light 4.5 and it just kept going up. @Lucman: Have a feeling you'll love it! @Hellscythe Ya, their debut rp and lp are still important for emo/math though. Does this go anywhere close to LP1?